Whether you've just picked up a Mac or are a long-time owner looking to Cadillac your Macbook with some awesome apps, you can literally not go wrong by checking out the Pay What You Want Ultimate Mac Bundle. 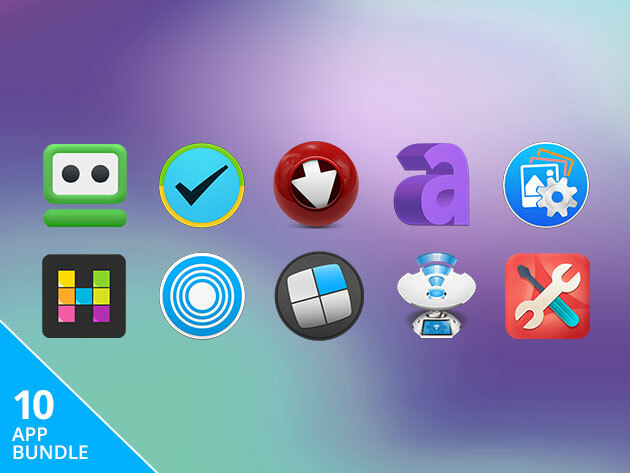 The bundle contains ten apps designed to support your productivity and creativity, and as the name suggests, you can pay whatever you want for it. Throwing down as little as one cent will get you the Airy YouTube Downloader, which allows you to watch your favorite YouTube videos offline should you and your Mac find yourselves in a situation wherein you cannot connect to the internet, such as locked in the trunk of a car. If you match the average price, you unlock access to all ten apps, including 2Do, the top-rated task management tool, as well as Mosaic Pro, Future DJ, and PDF Manager Ultimate. Purchasing all ten apps on their own would run you $437, but with the Pay What You Want bundle, you can take up to 99% off that price just by clicking the button below. There's never been a more affordable way to trick out your Mac.